It’s like closing and locking your car doors when you leave your home in Parkville, or setting your emergency brake when you park on a hill. Wearing your seatbelt has to be a trained response that you do without thinking, but too many people don’t see it that way. That’s why it’s become a national epidemic, especially among young people, to not wear their seat belts. 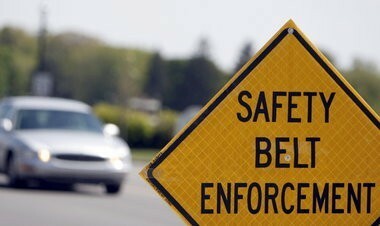 At Camden Body - Towson in Parkville, MD, we want you to wear your seatbelts—each and every time, without hesitation. The modern three-point seat belt that we all use today was created by Swedish engineer Nils Bohlin and is considered one of the most important innovations in automobile safety. The original two-point seat belt fastened just below the abdomen but often lead to internal injuries when passengers experienced a car crash. 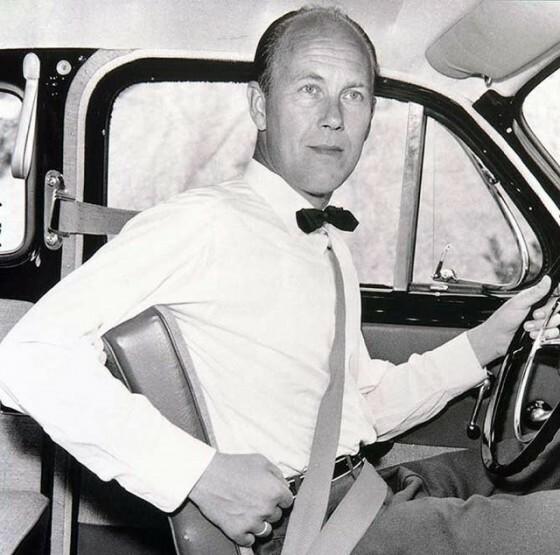 In 1959, Bohlin and the Volvo Company produced the three-point seat belt that secures both the upper and lower body. With the three-point seat belt, a strap that crosses one shoulder is attached to a lap belt, creating an immovable anchoring point to hold a body safely during the event of rapid deceleration of vehicular impact. The U.S. National Highway Traffic Safety Administration reports that seatbelts save more than 11,000 lives each year. But, those numbers would have been much worse without Bollin’s invention. In fact, an estimated one million lives have been saved worldwide since Bollin shared his innovative design with all major car manufacturers back in the early 1960s. 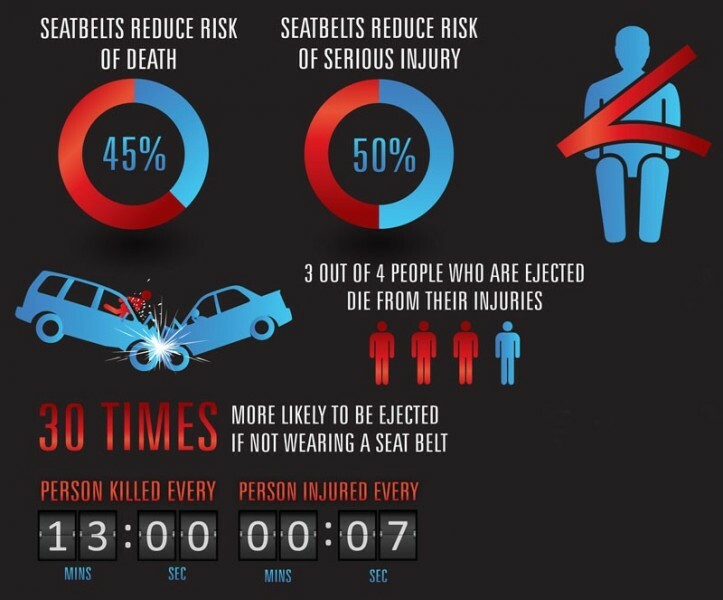 So why do so many people still refuse to wear seat belts? “I forgot” or “It’s uncomfortable” and even “I’m just going down the block” are some of the many excuses law enforcement officers endure when pulling people over for not wearing their seat belts. Teenagers are especially vulnerable when it comes to ignoring the seat belt rule, especially when a parent or adult is not present to supervise. The typical peer pressure mindset of “nobody else wears one” is not a good enough reason to drive unbelted. Passengers, both in the front and back seats, should always wear their seat belts as their bodies can become a dangerous hazard to others in the car in the event of an accident. Laws regarding seat belts vary from state-to-state, but in 49 states, seat belts are mandatory. In 1984, the first seat belt law was passed and was heralded by Dr. John D. States. After suffering a heart attack, Dr. States was forced to abandon his career as an orthopedic surgeon. Combining his experiences of working in hospital emergency rooms with his passion for automobiles, Dr. States devoted the rest of his career to auto safety. Inspired while working as a track physician at the Watkins Glen International, Dr. States noticed that race car drivers who were protected by seat belts, roll bars and helmets often survived major crashes while unprotected motorists often endured many more injuries from comparatively smaller accidents. When he signed the seat belt legislation, Gov. 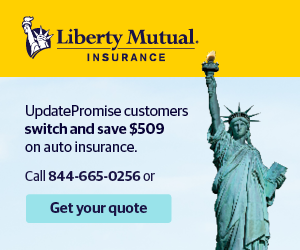 Mario M. Cuomo said that Dr. States “was a prime mover in the development of New York’s passenger restraint law – the first of its kind in the country.” 48 other states adopted similar laws requiring seat belts after New York’s groundbreaking legislation. At Camden Body - Towson in Parkville, we know that the average American driver is going to get into a car accident every 7-9 years. By wearing your seat belt all the time, you can avoid a serious injury when you do have an accident. Be proactive about wearing your seat belt and always persuade your passengers to do the same.